Kim Dotcom, the founder of file-sharing site MegaUpload, whose assets have been frozen over a legal dispute, is getting something of his own back: a New Zealand court is releasing some of his millions to cover the lawyers’ bills - and living expenses. The online entrepreneur’s mounting legal fees were beginning to go through the roof, after being pursued as a “fugitive” by the US government, as well as losing $67 million in assets as a civil penalty (the latter included cars and property). A further strain came with rental fees and supporting his twin daughters. But now, New Zealand, where he lives, is having to release $128,000 a month to help out, which includes $60,000 for mansion rent and further money for security, staff and various other expenses, according to New Zealand’s Stuff.Co. Justice Patricia Courtney has conceded to giving Dotcom access to some of his seized funds as a concession. He was forced to seek help in February, as the previous $15,000 a month allowance was simply not enough to live on, which included providing for his children and covering legal costs. Although Dotcom has a trust fund (allegedly worth $22.6 million, NZ$30 million) authorities said would help in that regard, Courtney ruled in favor of releasing the funds. “The trust’s major asset is its shareholding in Mega Ltd… In evidence Mr. Dotcom said that there were difficulties in selling Mega shares because they were blocked from being sold until the planned listing of Mega, which is now scheduled for late May 2015 (though it is possible that date will be pushed back). There was no evidence to the contrary,” the Judge’s ruling reads, according to Torrent Freak. Then there’s the matter of $1.5 million he still owes in legal expenses, as he fights extradition to the US, the hearing for which has been pushed back to September 1. The costs could reportedly go up to $3 million, which will also be released from currently blocked funds. Next up are family costs. 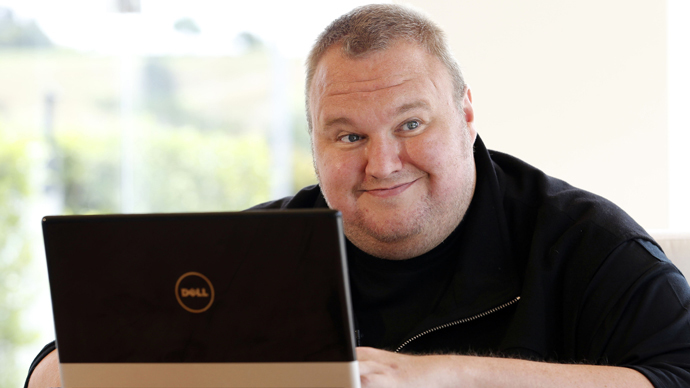 The mansion alone sets Dotcom back a cool $754,000 annually. Courtney mulled terminating his lease, which runs out in February 2016, but decided against it, as additional costs would be incurred as a result. “If [Dotcom] were to terminate the lease in order to find a more modest home, he would immediately be exposed to a significant contractual liability for the existing rental in addition to the costs of any new accommodation,” the Judge said. In view of all the implications, including his children, Courtney has decided on a monthly sum of $60,000. He also has an estranged wife, Mona, who is expected to chip in for the children. A further $18,850 for mansion staff was released. The judge thought an eight-person team Dotcom had applied for was a bit much under the circumstances, so the current figure is enough to cover five. All of the above will be paid out monthly until the lease expires. In March, Dotcom lost tens of millions to the US, which came as a shock to him, as there was no trial. A legal precedent allowed for that, as well as denying him the chance to mount a legal defense. "By labeling me a fugitive, the US court has allowed the US government to legally steal all of my assets without any trial, without any due process, without any test of the merits,” he said in late March, vowing to appeal the decision, which his legal team says would likely not hold up in New Zealand or Hong Kong courts. The 40-year-old’s legal troubles started in January 2012, when a police raid on his home in Coatesville, near Auckland, led to the shutdown of his file-sharing service MegaUpload. An FBI-led investigation resulted in charges laid against him and his partners. Earlier in March, the media mogul also successfully fended off an attempt by US attorneys to revoke his bail, under which he has been at liberty since 2012.